Acinic cell carcinoma is the third most common malignant form of salivary gland cancer. These tumors are similar to normal salivary gland tissue and occur most frequently in the parotid gland. Until now, the molecular causes for the illness were unknown. Acinic cell carcinoma (AciCC) shows serous differentiation closely resembling normal acini of salivary glands, which produce major components of saliva. Regulatory rearrangements driving oncogene overexpression through enhancer hijacking or insulator dysfunction are increasingly recognized in other cancer types. 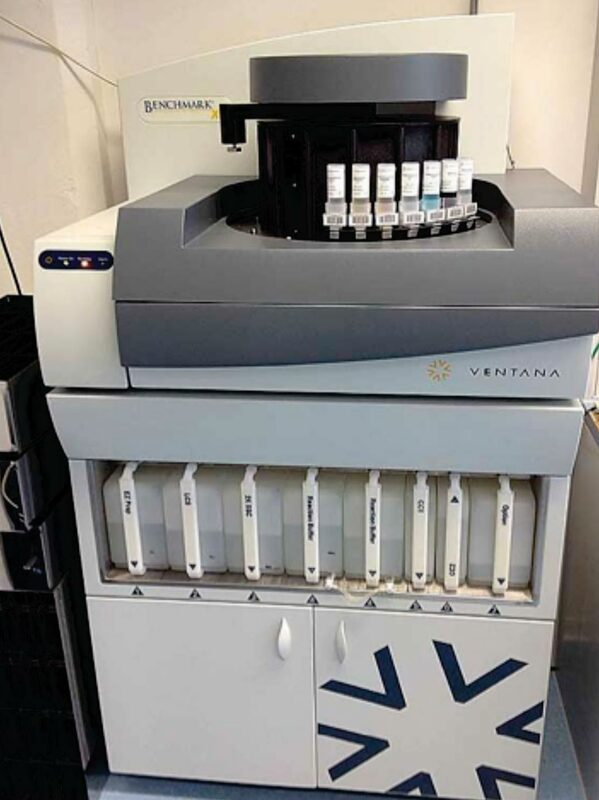 Image: The Benchmark XT System, a fully automated staining system (Photo courtesy of Ventana Medical Systems). A large team of scientists led by those at the University of Erlangen-Nuremberg (Erlangen, Germany) and their colleagues enrolled 10 patients with diagnosis of AciCC of the salivary glands in the initial study cohort, and their tumor material underwent extensive comprehensive genetic and epigenetic profiling. After formalin-fixation and paraffin-embedding of tumor material, a tissue microarray was conducted with two 2 mm cores per tumor using the TMA Grandmaster automated tissue microarrayer. Immunohistochemistry was performed on 3 µm sections freshly cut from the TMA block using a fully automated staining system, the Benchmark XT System. Representative images of tumor and normal parotid gland areas were obtained using an Axio Imager A2 microscope and AxioCam MRc at ×400 magnification. Fluorescence in situ hybridization (FISH) was performed on freshly cut sections from tumor tissue blocks. DNA from AciCC tumors and from normal salivary glands was isolated from fresh-frozen tissues using DNeasy Tissue kits, and from blood of the same patients using the DNeasy Blood Kit. Whole genome bisulfite sequencing and RNA sequencing were also performed. The team used genome sequencing on tumor tissue, and identified a translocation of genetic material between chromosomes 4 and 9, which was present in all acinic cell carcinomas examined. 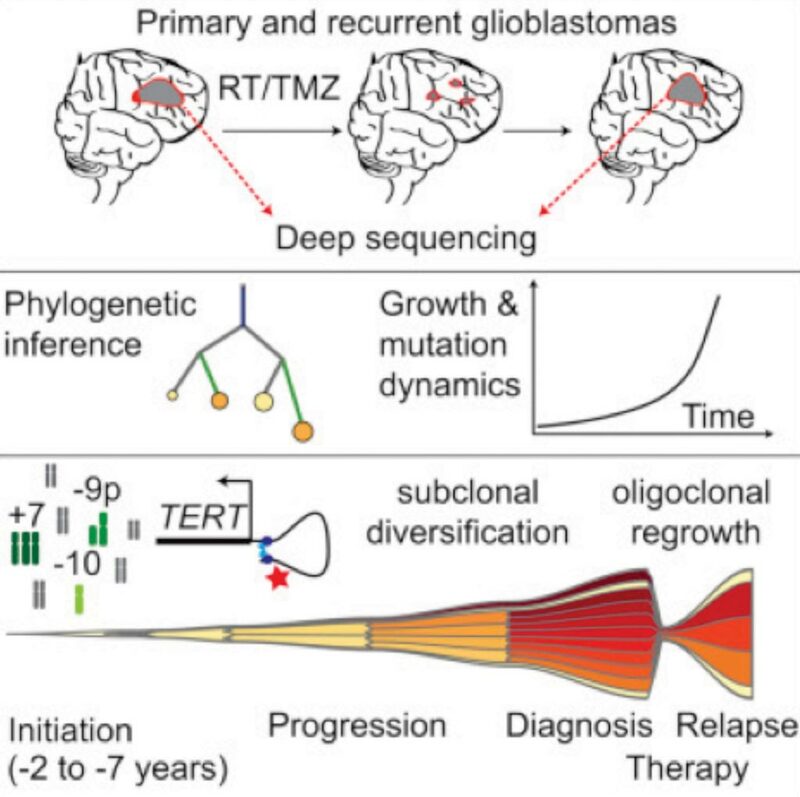 Typically, such translocations in tumors lead to a new combination of genes, which then acquire new oncogenic properties. In the case of acinic cell carcinomas, the translocation that has been discovered causes regulatory elements of DNA to be transferred from an active chromosome region to a normally inactive oncogene. When the chromosomes are rearranged, these highly active regulatory elements come into the vicinity of Nuclear Receptor Subfamily 4 Group A Member 3 (NR4A3) gene, which is usually switched off once embryonic development has been completed. The activation signals of the regulatory elements in the acinic cell carcinoma cause the gene to be switched on again. NR4A3 acts as a transcriptional factor to regulate the activity of a number of other genes, which then trigger cell division and growth, leading ultimately to the tumor starting to grow. The study was published on January 21, 2019, in the journal Nature Communications.